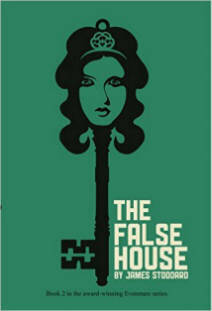 Originally published by Warner Books, The High House won the Compton Crook Award for best fantasy by a new novelist, was awarded second place as best fantasy of the year by the International Association for the Fantastic in the Arts, landed in the Locus top ten for best SF/Fantasy book of the year, and was a finalist for the Mythopoeic Award, an award for books written in the spirit of the Inklings. 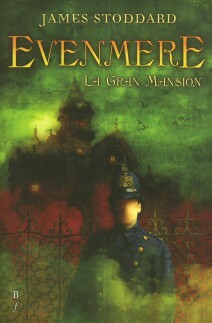 Evenmere, the High House, a Victorian mansion of infinite size, is the mechanism that runs the universe—the lamps must be lit or the stars fail; the clocks must be wound lest Time cease; the Balance between Order and Chaos must be preserved or Existence crumbles. 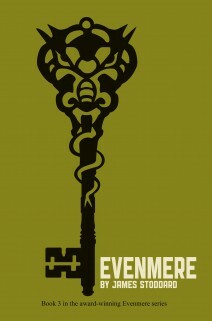 When Carter Anderson finds himself Steward of Evenmere, he must learn—before it is too late—the strange rules of the house, traveling its winding corridors and secret passages to the myriad countries lying within its walls. He has little time to act; the anarchists have stolen the Master Keys and are seizing control of the house. What he does will determine the fate of Reality. But his enemies are strong, and the Room of Horrors is never far from him. The infinite rooms, twisting corridors, magical chambers and secret passageways of Evenmere contain and protect all of Existence. But the mansion’s power has been stolen; now all within the High House are threatened by enemies hidden in the Outer Darkness. Evenmere’s young master, Carter Anderson, and his brother Duskin must challenge the False House, where a captive girl’s tortured dreams are turning reality into nightmare . . .
A new form of Power has appeared within the infinite corridors and rooms of Evenmere, a force so strong it destroys any who attempt to wield it. Unless Carter Anderson, Master of the House, can find its source, Evenmere, and the universe with it, will swiftly degenerate into an existence of eternal warfare and endless pain. He must act, while the life of his only son hangs in the balance. An adventure of both science fiction and fantasy—one of the great love stories–this is William Hope Hodgson’s masterpiece, rewritten for the modern reader. Penned in 1912, The Night Land is considered by many to be a work of genius, but one written in a difficult, archaic style that readers often find impenetrable. As a labor of love, James Stoddard has rewritten Hodgson’s book to bring it to a wider audience. The story opens in the 19th century, but quickly moves to the far future, where the sun has gone out, leaving the world in a darkness broken only by strange lights and mysterious fires. Over the ages, monsters and evil forces have descended to the earth, compelling the surviving humans to take refuge in a great pyramid of imperishable metal built in a miles-deep chasm. The monsters surround the pyramid in a perpetual siege lasting for eons, waiting for the moment when its defenses will fail. But one man, born out of his time, must leave the pyramid to seek his long-lost love though all the perils of the Night Land. Also available as an audio book. 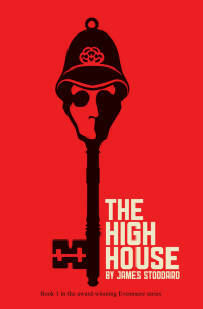 The High House was translated into Spanish, German, Russian, and Czechoslovakian. This is the Spanish edition, with a magnificent cover by Alejandro Teran.